The 2015 financial year has proved to be extremely challenging for South Africa’s mining industry, experiencing a steep decline in financial performance impacted by a slump in commodity prices and increased cost pressure. Local cost pressures, labour action, and a continuing downswing in commodity prices have resulted in shrinking margins and impairment provisions. Mining companies are grappling to improve productivity in order to address the demanding global and local mining environment. These are some of the findings from PwC’s seventh edition of SA Mine, a series of publications that highlights trends in the South African mining industry, released by PwC at the 2015 Joburg Indaba: Investing in Resources and Mining in Africa conference held in Sandton. The mining industry continues to be marred by labour unrest with four gold mining companies continued to be locked in a three-month wage ‘stalemate’ with unions and the pressures of a recent coal strike mounting. The 2015 financial year saw the declining trend in market capitalisation continue with few, if any, companies left unscathed. Market capitalisation for the top 35 companies declined to R414 billion as at 30 June 2015 (compared to R675 billion as at 30 June 2014). The decline continued when compared to market capitalisation as at 30 September 2015 of R304 billion, resulting in an aggregate decline of R371 billion when compared to 30 June 2014. Although iron ore and coal prices were the most severely impacted, platinum and gold mining companies have not escaped the continuing downward slide in commodity prices. SA’s main revenue generating commodities haven’t experienced real prices as low as those experienced in 2015 in ten years, and it is not certain yet if or when the prices will start to recover. Despite a continued reduction in prices, coal remains the highest earning commodity in South Africa. Coal had a solid performance over the last decade, with marginal increases in production in the last few years. The long-term decline in gold production was temporarily halted in the last two years. This decline is indicative of the ever-increasing depths of existing mines, technical difficulties experienced by start-up operations and a continually growing base. Platinum group metal (PGMs) production has been severely impacted by industrial action since 2012 and by mine enclosures in the low-price environment. In the absence of a meaningful price increase, it is unlikely that platinum production levels will increase from the current lower base. 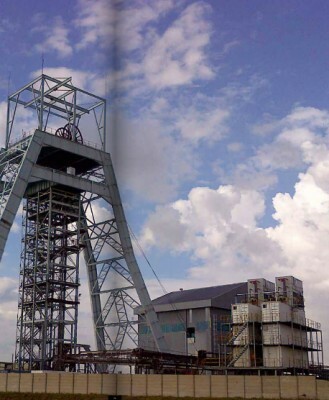 “Financial performance for the South African mining industry in 2015 was extremely challenging and downcast,” says Andries Rossouw, PwC Assurance Partner. This year’s cash flow is the worst since the financial crisis in 2008 and reflects the margin pressure and liquidity concerns experienced by the industry. The free cash flows generated were insufficient to make existing borrowing repayments, let alone distributions to shareholders. Revenue only increased by a mere 4% or R12 billion on last year. Operating expenses increased by 14%, which is higher than the 13% of the previous financial year. 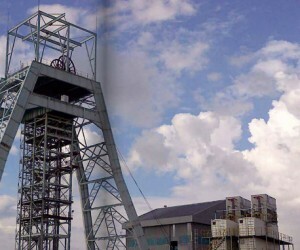 However, when companies affected by the platinum strike are excluded, the increase climbs to 15%. Labour costs still remain the biggest cost component in the local mining industry. The share of labour costs decreased marginally from 47% to 45% in the current year. The 2014 period saw record levels of impairment charges being recorded within the mining industry. In 2015, the industry saw impairment charges as a percentage of capital expenditure reduced to 40%, which is still above the 35% four-year average. Net profit reduced by 75% to a mere R2 billion despite a R26 billion reduction in impairment provisions. The EBITDA margin is 22% in the current year, down 7% on last year. In addition to the high-profile risks identified, the study also anticipated other aspects and risks that are likely to arise in the coming year. Some of these include: uncertainty on the Mining Charter reporting outcome, water scarcity, as well as productivity challenges at selected mines. According to safety statistics there is a higher level of focus in place and this becomes particularly clear when one compares current statistics to historic ones, which show a significant decrease in fatalities over the long term. Despite the challenges it faces, the mining industry continues to be a significant contributor of value. The monetary benefit received by each stakeholder in the industry is usually summarised in mining companies’ value added statements. Employees received 39% (2014: 37%) of the value created. The impact of the increased wages, relative stable employment numbers and lower price environment has contributed to this increase. The state received 18% (2014: 20%) of value created, consisting of direct taxes, mining royalties and tax on employee income deducted from employees’ salaries. The actual contribution received by the state is significantly higher, however, with direct taxes like VAT, import and export duties also being collected. Distributions to shareholders represented 15% (2014: 11%) of total value increased. If Kumba Iron Ore’s results are excluded, the dividend percentage declines to 3% (2014: 2%). “Currently, the challenge faced is determining how to increase the size of the pie to create more value for all stakeholders in an environment of ever increasing costs, reducing margins and increased volatility. Creating an environment with adequate infrastructure, less policy and regulatory uncertainty, and a skilled yet flexible workforce should go a long way towards attracting investment and benefitting all stakeholders,” concludes Kotze.